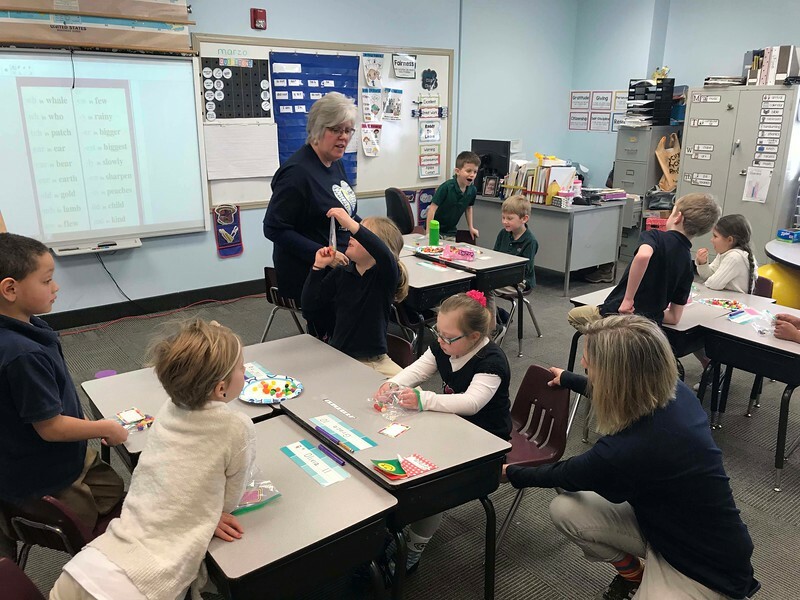 NATHAN HAVENNER / GAZETTE Aide Amy Hall, right, works with Grace Paul, 7with during class Thursday morning at Medina Christian Academy. 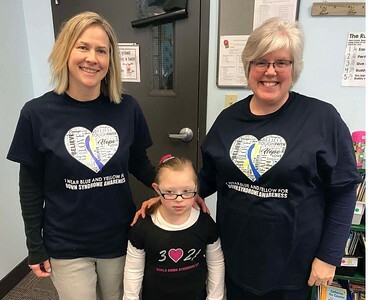 NATHAN HAVENNER / GAZETTE Medina Christian Academy student Grace Paul, 7, poses with her first-grade teacher Mona Smith, right, and aide Amy Hall during the school’s “Rock Your Socks.” Grace passed out treats to fellow students wearing crazy socks during lunch Thursday. NATHAN HAVENNER / GAZETTE Grace Paul, 7, center, poses with friends Bella Good, left, and Olivia Stahnke, from Mona Smith’s first-grade class at Medina Christian Academy during lunch Thursday. 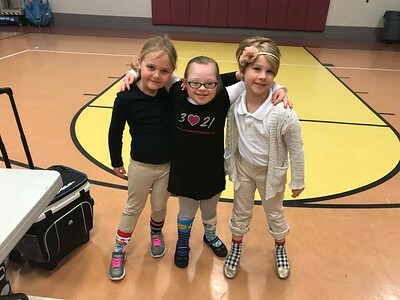 Students wore crazy socks to celebrate Grace and World Down Syndrome Day. Aide Amy Hall, right, works with Grace Paul, 7with during class Thursday morning at Medina Christian Academy.